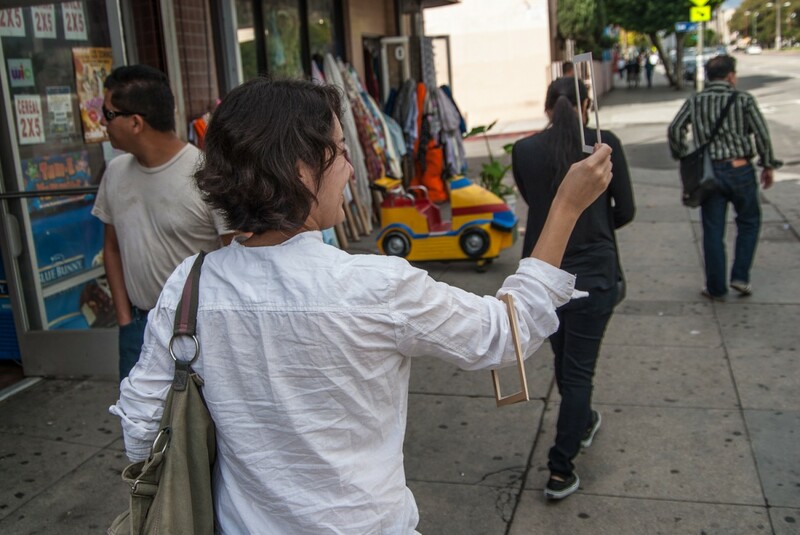 This work was part of a walk organized by Heidi Zeller in conjunction with the Craft and Folk-art Museum’s Folk Art Everywhere program. 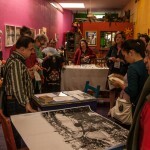 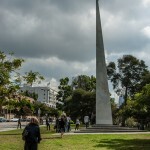 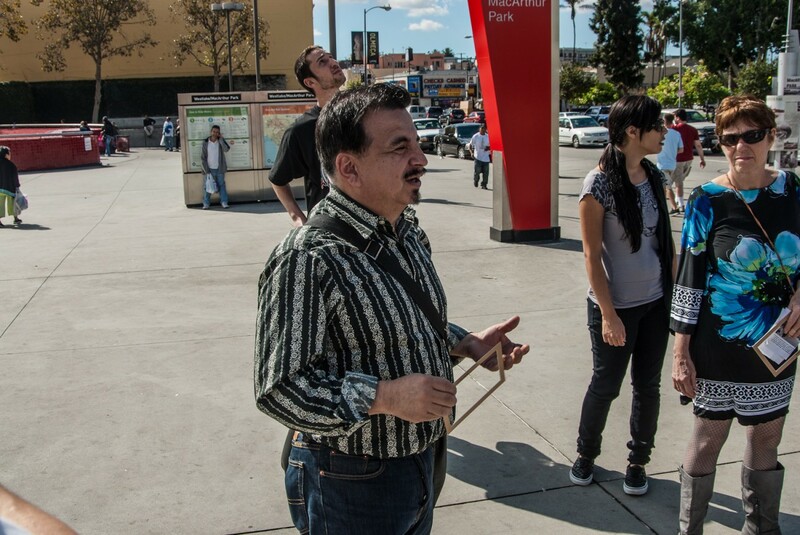 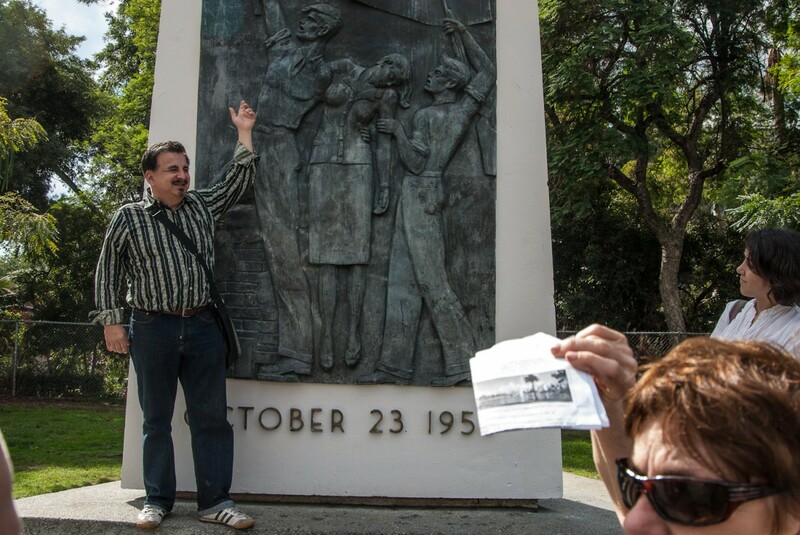 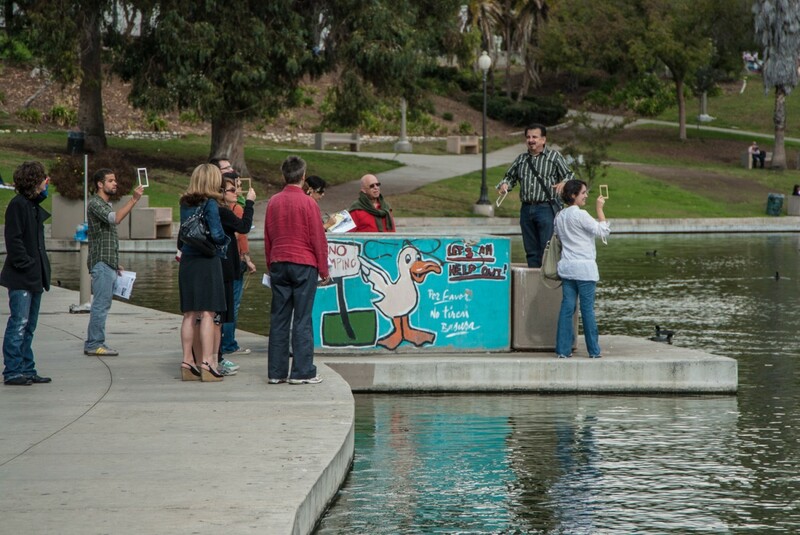 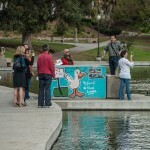 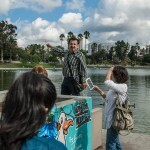 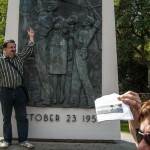 James Rojas and I were invited as guest artists to lead the tour around Westlake MacArthur Park. 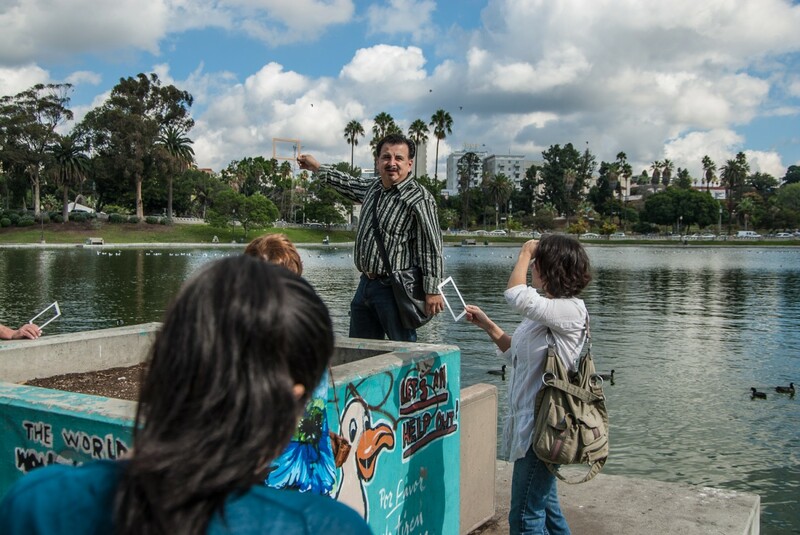 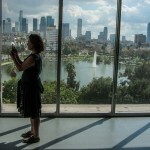 The idea of the view within the Westlake MacArthur park neighborhood became the focus of my tour. 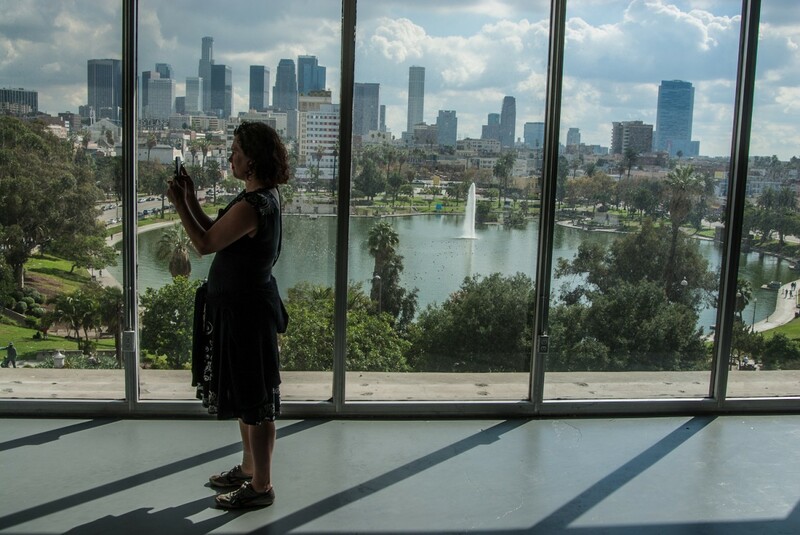 Having been raised around MacArthur Park, I wanted to tour visitors to experience both the activity of the street/ pedestrian life and the distancing from the street created by luxury lofts around the park. 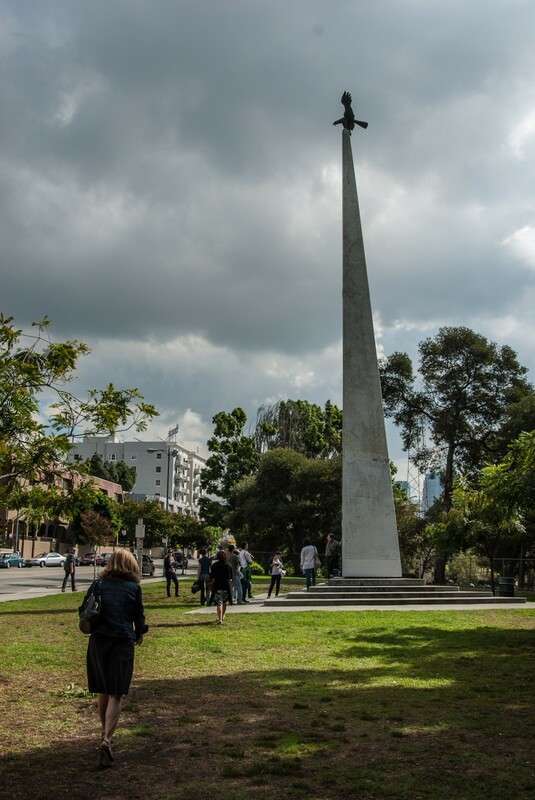 The park is marketed as one of the best views in Los Angeles by real-estate investors who also promise within their description an inherent separateness from the life that exists below on the pedestrian level by emphasizing security. 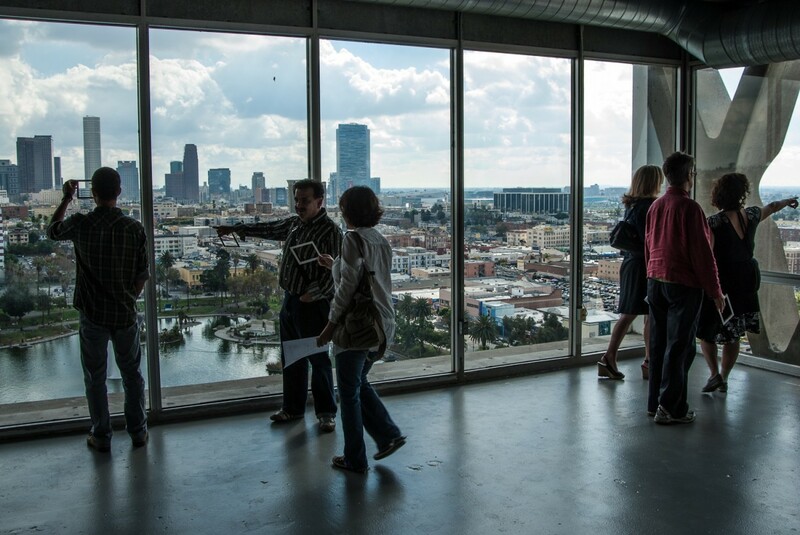 In the tour we walked around MacArthur park then entered the American Ceramic Building lofts posing as an architectural group. 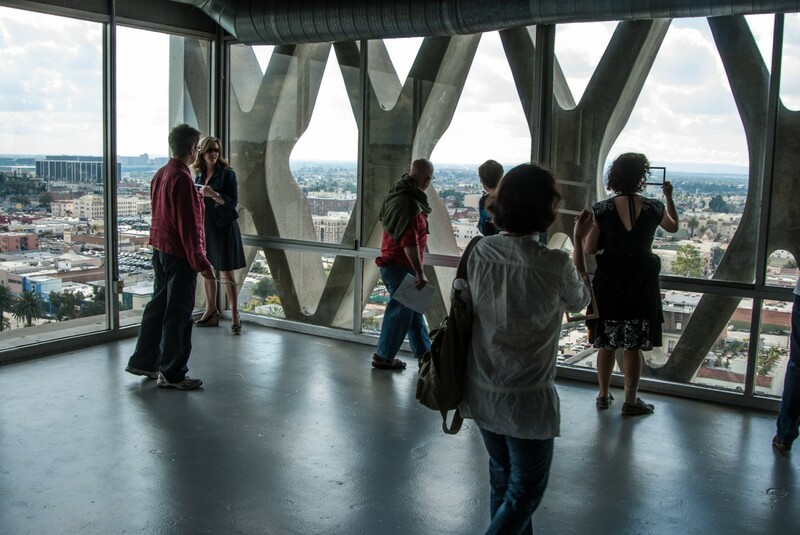 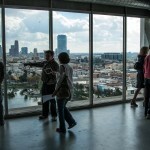 Our guide showed us several lofts and the spectacular views of Downtown and the park from the top most floors. 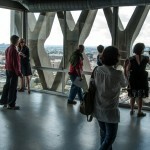 She also told us how much each loft was per month( at-least 3000.) 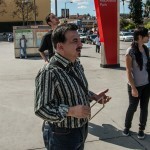 and guided us through the hallways of the structure. 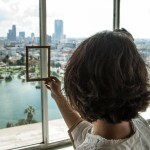 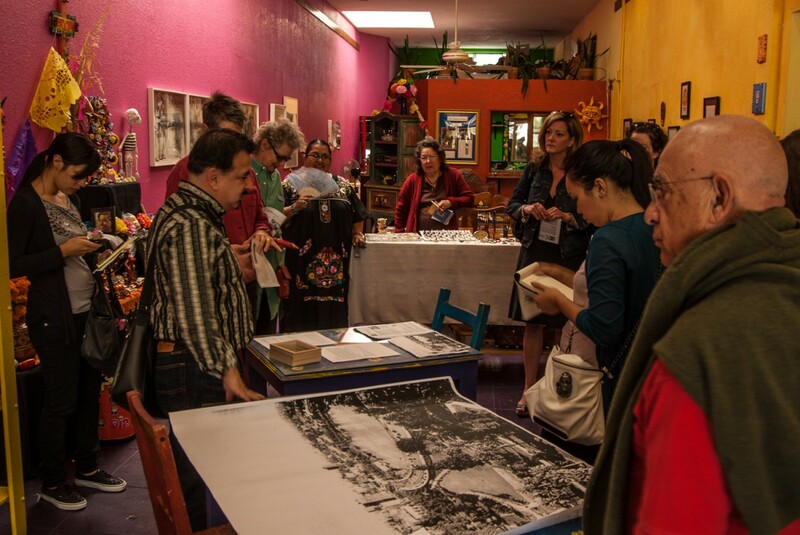 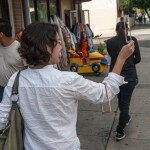 The contrast between the zooming in and zooming out of a site like MacArthur park is full of political, social, and economic issues that I wanted our visitors to experience for themselves. 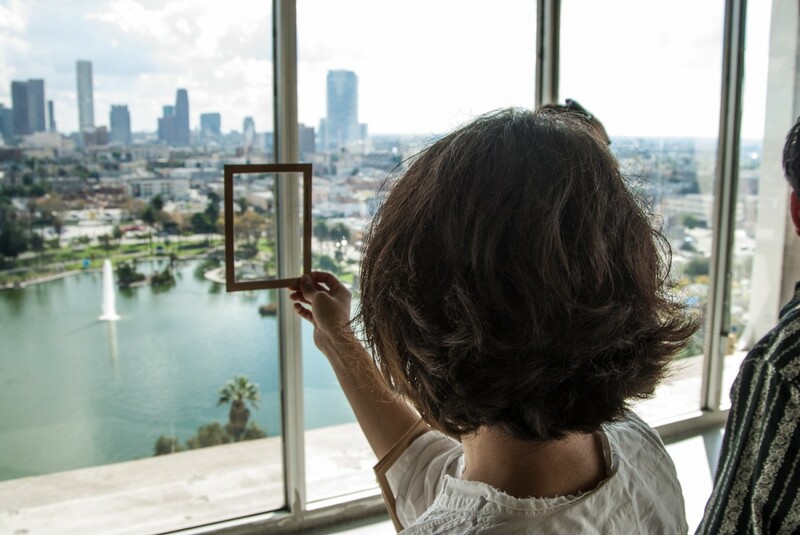 Each of the visitors had a view-finder, a small rectangular frame that helped to capture zoomed in or zoomed out views of the area.